Chromebooks look pretty entrenched, for now. Can that advantage be overcome? For years, Apple Macs dominated the classroom. Then Chromebooks took over. Now, Microsoft is once again pushing for kids to learn via new, cheap Windows 10 PCs, managed by a new Intune application designed specifically for education. Chromebooks aren’t much more than web browsers built on top of a bare-bones OS. That can be a drawback for businesses, which demand a rich platform for computing. In classrooms, though, the relative simplicity of the platform can be a positive, as they’re easier to manage. Microsoft’s Intune for Education dashboard allows classroom PCs to be quickly set up and managed, Microsoft says. To counter that advantage, Microsoft is debuting Microsoft Intune for Education, a cloud-based version of the Intune application- and device-management service to make managing 30 or 40 laptops per classroom less of a chore. 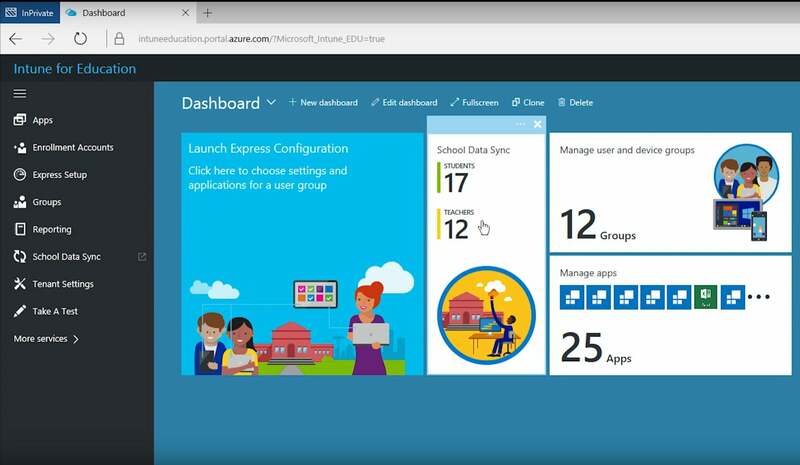 Schools can customize over 150 granular settings, assign them to a student, and apply them to hardware, apps, browsers, the start menu, Windows Defender, and more, Microsoft said in a blog post. For example, a particular student can be assigned to a specific group, and be automatically assigned the same apps as other members of the group. Managing a few devices can be handled by just logging into the service with an Office 365 login. 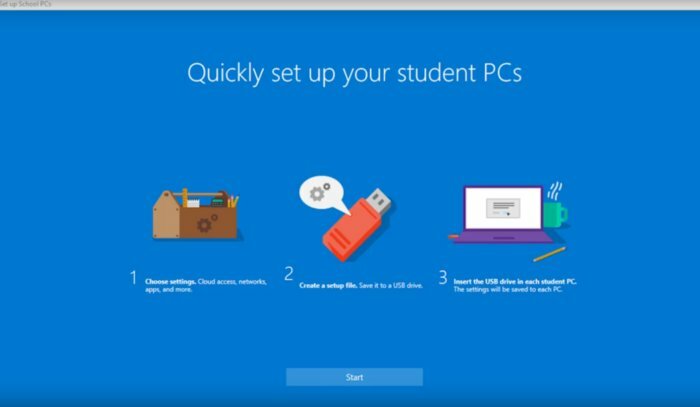 A separate “set up school PC” app can handle larger deployments, Microsoft said. Intune for Education will be available in preview in the coming weeks and more broadly available this spring for $30 per device, and via volume licensing for 69 cents per month per teacher. “Ultimately, both Intune for Education and [Google’s] Chrome Management console provide cloud-based device management for classroom devices, but Intune for Education integrates better with the rest of the existing school infrastructure and allows access to full Intune for management of Android, iOS and Windows devices,” Microsoft said in a statement. 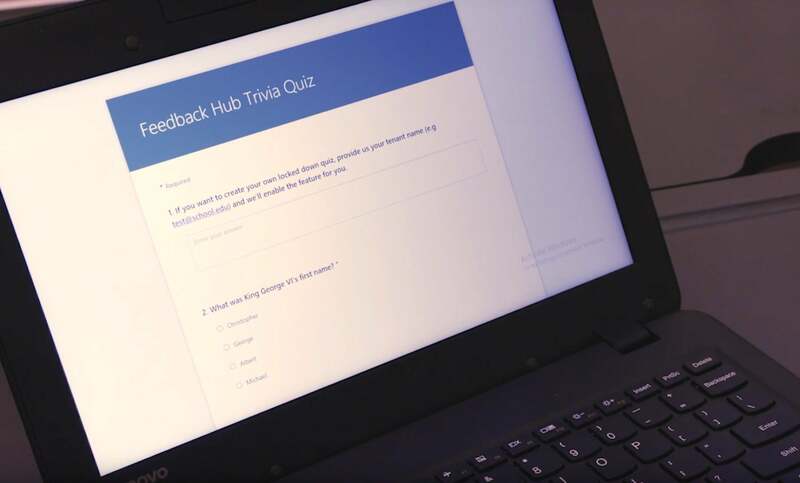 Microsoft-powered education PCs can be locked down to a single app during test time. Why this matters: According to a September 2016 report by FutureSource, about half of the computing devices in U.S. classrooms are Chromebooks, the inexpensive Chrome OS-powered devices manufactured by Samsung and others. Microsoft hopes to regain dominance via its partners, who are marketing inexpensive PCs that can compete on price while offering capabilities like touch and electronic inking that Chromebooks lack. Still, at least in the classrooms we’ve seen, Chromebooks seem to have a solid foothold. Although Windows Ink is in its infancy, Microsoft pointed to apps like FluidMath and Drawboard PDF as two educational apps that would benefit from a touchscreen and stylus—and that Chromebooks wouldn’t be able to match. “We believe Windows Ink is a truly valuable tool especially in the classroom, in fact, handwriting and neuroscience studies report 36 percent better test scores for kids that have diagrammed their notes,” Microsoft said in an emailed statement. 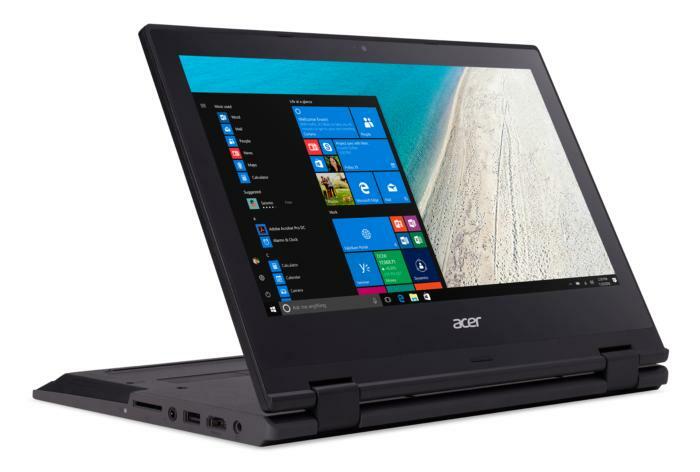 Acer’s Travelmate Spin B118 convertible notebook: With four usage modes, the 11.6-inch convertible notebook can be folded back via its 360-degree hinge to approximate a tablet. The $299 notebook includes a stylus and touchscreen supporting Windows Ink, a battery good for 13 hours of work, a shock-absorbent bumper and spillproof keyboard. 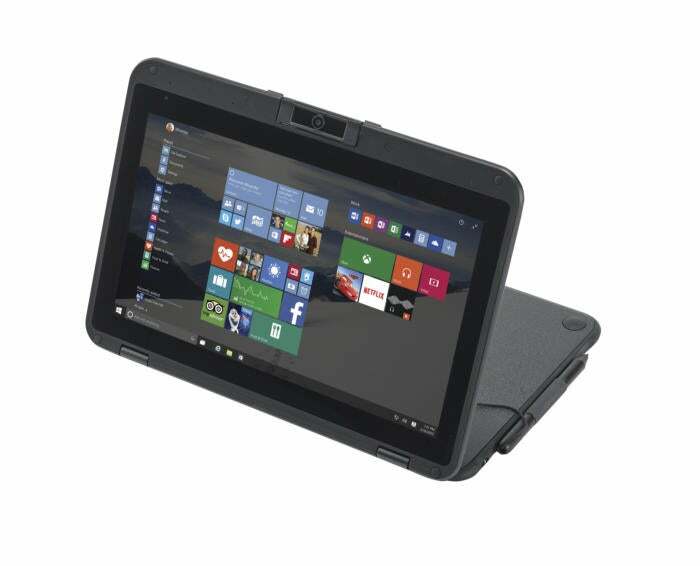 JP.IK’s TURN T201 PC: The TURN T201 is a PC designed for students aged 12 to 18, with a Microlens microscope and a thermal probe. 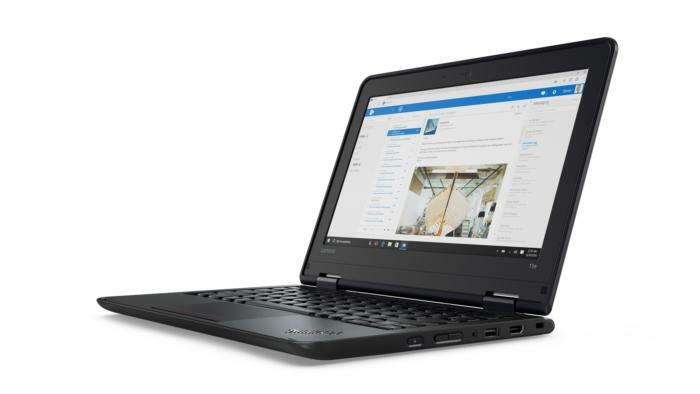 Lenovo ThinkPad 11e, N24: Lenovo has also updated its education PCs with the addition of the ThinkPad 11e, either in a traditional clamshell or Yoga form factor. The 11e’s battery supports 11 hours of battery life and comes with a stylus. The N24 does as well, plus a 11.6-inch IPS display. Lenovo offered no other details, save for its expected release in mid-2017. Microsoft also added some new features to its Minecraft: Education Edition. “Global Pause” allows teachers to force students to take a break, while improvements like text-to-speech for in-game chat has been added for greater accessibility. Other new features include an updated user interface for managing in-game settings, new “mobs” includong polar bears, 256-block world heights for greater building capabilities, plus gameplay from the first night to The End dimension. This story has been updated at 9:37 AM with additional details and to correct the volume pricing of Intune for Education.